Over Forty Hiker Community: Looking For One? 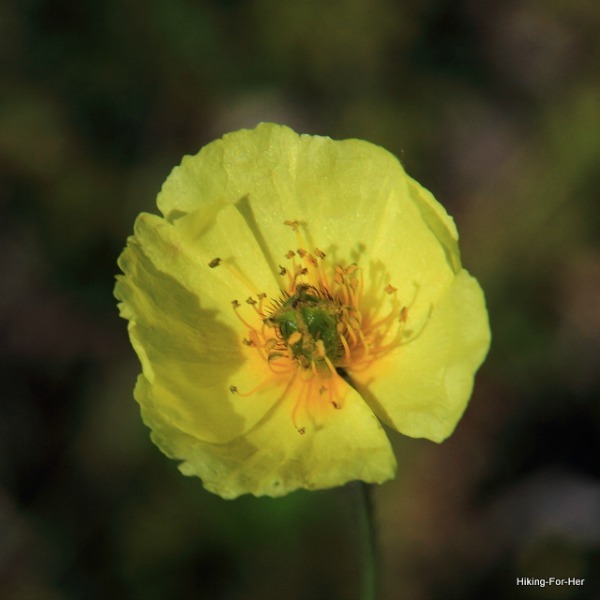 An over forty hiker community is flowering as you're reading this. It's a private safe space for female hikers with lots of encouragement, humor, questions, and hard won trail wisdom to share with each other. Comments, images and chats are kept within the community's walled garden. This is an ad free space. No toxicity or aggressive hidden agendas are tolerated. And you won't be bombarded with social media noise - or have your information sold, mined or manipulated. If your idea of happiness is a circle of hikers, all wanting what's best for you on the trail, this Over Forty Hiker community will appeal to you. 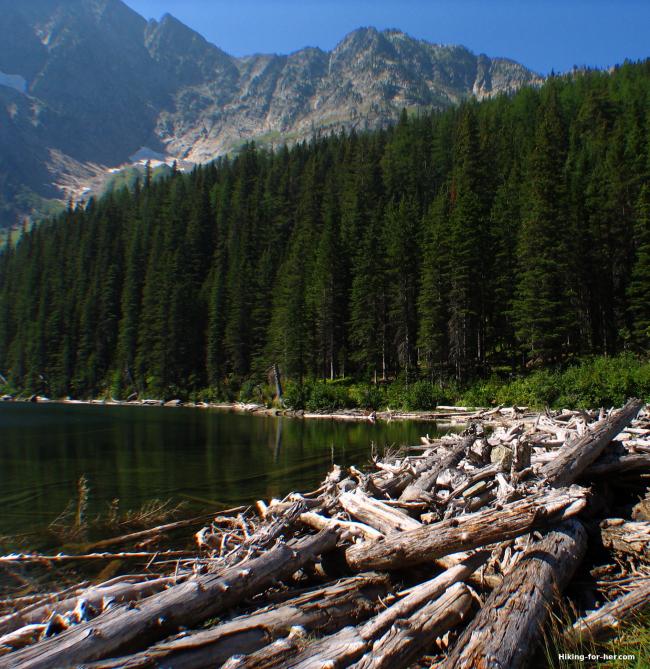 Here, you can collaborate with others on getting your hiking plans fleshed out. You can celebrate victories and accomplishments with other hikers who really know what it means to conquer a goal. You can ask for suggestions and guidance when you're stuck on something. Because it's hosted by Hiking For Her, you can expect things to be well run and easy to use. Full disclosure: there is a small learning curve to become familiar with our platform, as with anything online. You can use a phone app, your tablet and computer, or switch back and forth between all three. Once inside the community, you have access to friendly hikers of all ability levels and backgrounds. That should be pretty exciting! Where else can you tap into a hiking network willing and able to share secrets and tips to make you a smarter, safer and happier hiker? How else can you easily access a wide variety of voices when making a gear selection or planning a backpacking destination? And the photos of hiking destinations, wow! That should get your gears turning for future trips. It's also exciting to think about helping us build an extensive storehouse of hiking knowledge for all to enjoy. Your voice and unique background will contribute to the richness of everyone's experience. Being over forty can mean a lot of things to a woman. Maybe the reality of an empty nest is looming. Physical changes are occurring, ready or not. Hiking style and pacing might need some fine tuning. Have you noticed how the media ignores or demonizes aging? So it's time for a completely different approach. 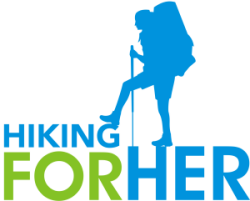 Hiking For Her believes strongly in smart, strong, safe female hikers as a reality (read more here). That's why this Over Forty Hiker community originated right here on this website, inviting charter members to guide and enrich it with their deep collective wisdom. In our community, being 40+ years of age is welcomed as a fact of life, not a limitation on the enjoyment of outdoor adventures. And why not celebrate it? The way we see it, being 40 isn't anything to hide, cover up, or ignore! It's a rite of passage into another wonderful phase of life as a hiker. not yet 40 years of age? No one is going to ask your age - and you can share it within the community, or not. But let's be honest here. The concerns of a twenty five year old on the trail are going to differ from a fifty year old hiker. What we talk about and share might not be what you're working with, and thinking about, on the trail. That's why we're being up front to own the fact that we are women of a certain age - and gloriously beyond. Is there hiking life beyond forty? Let's go find out - together! Spoiler alert: Yes, many times over with yes! We're not male bashers. We know the value of male hiking buddies! We just want to create an intentionally woman focused space to explore what hiking means to us as we move along our personal trails. Every female understands how the dynamics of a conversation can change when a male point of view is introduced. And there are specific female concerns which every woman faces on the trail. So for now, we're a trail sister community. As we grow and change, the topic might come up for discussion. Fill this out to get on the list to receive an invitation. Your information is kept private and is not sold or passed along to anyone. It will be used only to send an invitation your way. Once you decline or accept it, your name is taken off the waiting list. And if for some reason you sign up and don't receive an invitation, check your spam folder or try again. Because the contributions of our members are at the core of our community, there is no free trial to come in and meet everyone before you join. As a valued member, you can leave at any time. Your membership will be cancelled at the end of the current billing period. You can leave the door open to return later, or choose to have all of your contributions deleted from the community. This community relies upon state of the art technology to enable our private interactions. lots of technical features, which require both time and money to keep running smoothly. 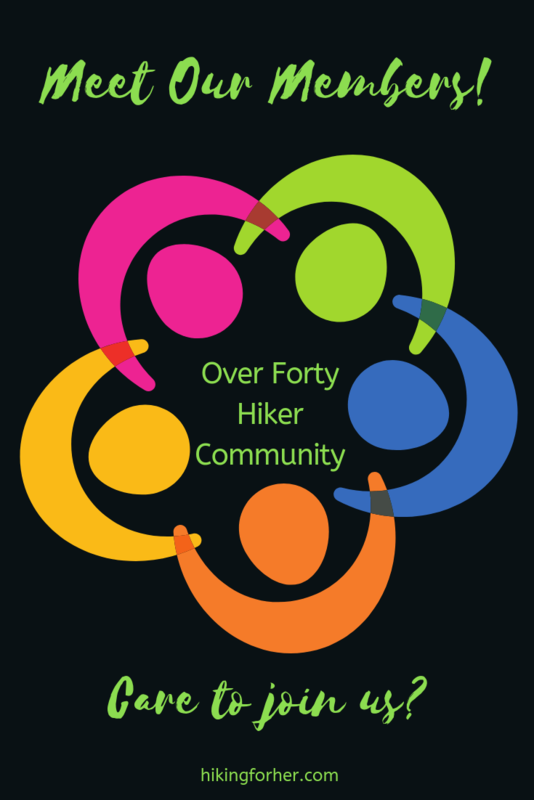 Over Forty Hiker is hosted and curated, meaning there is a firm commitment to enforcing a zero tolerance policy for anyone who posts offensive or demeaning content, trying to stir up trouble or pit one hiker against another. The host also troubleshoots your technical glitches and responds to your messages. This will shorten your learning curve and support your community experience. You realize how this kind of hosting and support requires dedicated staff hours, which are paid for by the membership fees. The daily news is filled with examples of bad actors in social media spaces. It's becoming clear that a "private" social media group is not so private. Women join our community because we are all looking for a quality experience without worrying about who is selling our data or tracking what we do. The private "walled garden" experience eliminates the worries and the headaches you may have experienced in many current social media groups. Selling ads or seeking corporate sponsors for our community is something we have decided to avoid. This community gives a lot, and asks each member to support the delivery of a quality, unique experience with a modest fee. Technology, hosting, support, privacy, a community of women gathered together to support each other as hikers ...what is all of that goodness worth to you? Two small EPIC protein bars at Trader Joe's (a very reasonably priced store) cost $4.99, to be gulped down and forgotten after a few minutes on the trail. Starbucks charges $4.99 (and sometimes more) for one hot beverage on your way to the trailhead. Before you join, it's important to highlight what you won't find here, allowing you to make an informed decision about joining us. This community has some distinct differences, beyond its privacy and intentional focus on a high quality, interactive user experience. The Over Forty Hiker community is not built around a social media platform. So if you like big, fast paced, noisy groups on Facebook, Twitter, Instagram and other public platforms, you might find this community way out of the norm. We aim to stay small and friendly, allowing rich interactions without any social pressures. We like to take some time to consider the question and respond with a thoughtful answer. Or pose another question to develop a conversation into something rich and satisfying. That's not to say you can't get a fast answer to a question. But if that's all you're after, you won't find value here. There's no central figure or particular point of view inside our community. So if you would prefer to focus on one perspective, or you desire to locate specific hiking information quickly, this is not going to meet your needs. Might I suggest using the search box on this page instead? If you're sensitive about the number of candles on your birthday cake, the candor of the name and our topics might turn you off. Lurkers won't get much value from joining us, because the secret sauce is in the chats, conversations, group events and friendships being developed within the Over Forty hiker community. If you're seeking a spot to market your own products, services or branding, please consider contacting me and we can discuss how to do that here on Hiking For Her. We deliberately keep our Over Forty Hiker community free of solicitation or advertisements. And trolls? Not to worry. The modest sign up fee keeps them at bay. The community host (me, Diane Spicer) is dedicated to creating a troll free space where everyone feels comfortable and welcome. No one can predict what you'll learn - or who you'll meet. Very similar to every single hike you take, if you stop to think about it. This unique Over Forty Hiker community welcomes female hikers of all ability levels. We're ready to share insights, humor and hard won hiking tips with you in a private, ad free space built for making connections and sharing experiences. Meet hikers located near you. Chat with those who have hiked trails you'd love to explore. Ask and answer questions about all things hiking. Pay it forward by sharing your knowledge. Share stories and photos in a lively exchange of trail wisdom. Enjoy the unique content and honest conversations not found elsewhere. We're creating something really wonderful together, won't you join us! If you have questions that weren't answered here, contact me. I'm here to help here, and inside the community. It's easy to request an invitation to join our Over Forty Hiker community, using this form. When it arrives, a few clicks will take you right in.